Since the time Trust Garage Door has entered to offer garage door services in Nashville, TN area it has established a new benchmark of garage door services. We stand for quality, timely service and trust. Our team of garage door experts coupled with infrastructure and technology make us stand apart in delivering services like garage door installations, repair and even maintenance of the same. We are available all through the day to make sure that no emergency goes unheard. Starting from classifying problems with your garage doors to executing their repair and maintenance, we do it all! Garage doors offer aesthetics as well as functions as a safety filter for your property and valuables. We know that garage doors look simple that would not need much service, but that is totally untrue. 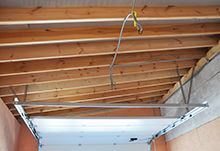 Clients facing garage door issues would know what we mean. 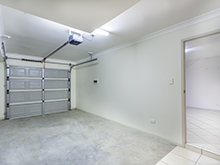 Garage doors function with the seamless operation of various components and the wear and tear of even one of these components could reduce the overall efficiency of the garage door. While the door can suffer much damage it can cause serious injuries to people around. This is why consultations from professional garage door experts are a must to avoid any fatal mishap. Trust Garage Door handles all types of garage door issues. Our team can replace the doors, offer you more attractive doors, check and scan for flaws in the system, almost everything. 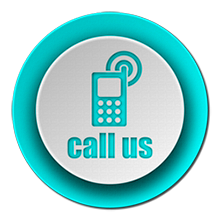 The moment you call us for our services for your garage, our team of experts will arrive on location in a few minutes. After they arrive they evaluate the problem and offer you advice on whether you require a replacement of the door or just a part of the garage door. While we leave in no time for your location after receiving a call does not mean that we limit the services we provide. Our emergency services are capable of taking care of installing and fixing high-strength springs, modern openers, custom carriage house door, sensors, garage door cables and more. 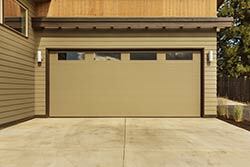 The garage door is an essential point-of-entry to your house. This is why it is essential that this door is maintained in a way to keep you more secure and safe. Our team in Trust Garage Door is one of the best in Nashville, TN area and has undergone intensive training and has decades of on-location experience. They are equipped with the know-how and the tools to offer you every possible service for your garage doors. For excellent, rapid answers, dependability and affordability, you can depend on Trust Garage Door. Give us a call now!